Tony Isaacson retired in 2016 as the Managing Director of Kane Constructions, and continues in a non-executive role where he mentors and assists Kane teams. He has a broad ranging interest for all things construction and design, including traditional and contemporary construction technology and management systems. He supports and works with a range of non-profits, particularly in environmental areas. Christopher a former lawyer with Baker & McKenzie and DLA Phillips Fox, is the founder and managing director of Words and Beyond an Australian-based plain-language training, rewriting, and cultural-change consultancy launched in 1999. Clients include major law firms, public companies, government agencies, the United Nations, and the European Central Bank. Christopher is also the founder, and former Managing Director, of online legal document provider Cleardocs, which launched in Australia in 2002. In June 2012, Thomson Reuters acquired Cleardocs. Amy Boyd is the granddaughter of Robin Boyd and the Boyd Family representative on the Board of the Foundation. 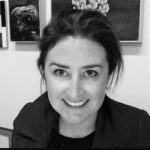 Lucy is a practicing architect, a member of The Australian Institute of Architects, a board member of The Australian Ballet Ambassador Board and Director of Lucy Clemenger Architects, a Melbourne based architecture and interior design practice. 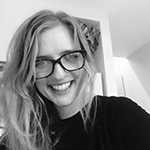 Lucy has spent significant time working as an architect for leading architecture practices in Australia, the Netherlands, The United Kingdom and Greece. She has worked on the design and documentation of a broad range of projects including commercial, retail and residential developments, and the design of the public realm. 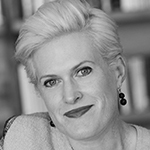 Sophie Gannon is a leading commercial gallerist specialising in Australian contemporary art. Prior to establishing her premises in Melbourne in 2006, Sophie worked with Philip Bacon Galleries in Brisbane and Sotheby’s in Melbourne. Sophie represents more than 15 leading Australian artists. Philip is a Director of the Melbourne School of Design at the University of Melbourne and is internationally known for his research and is an authority on modern Australian architecture. 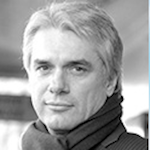 Philip is an expert on the life and work of Robin Boyd, and has held visiting scholar positions at Columbia University, Bartlett School of Architecture (London) and UCLA (Los Angeles). 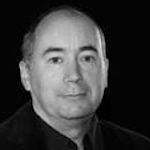 Philip is a past editor of Fabrications, the Journal of the Society of Architectural Historians, Australia and New Zealand, and is a contributing editor to Architecture Australia. Along with Associate Professor Julie Willis, he is the editor of the Encyclopedia of Australian Architecture. Mary is an Interior Designer and was one of the inaugural inductees into the Design Institute of Australia Hall of Fame. 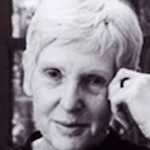 Mary Featherston is a Fellow of the Design Institute of Australia and a Senior Fellow, University of Melbourne.